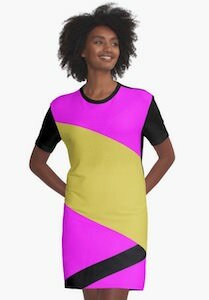 If you want a fun dress that shines and is see-through at the same time then this is what you want. The body of the dress is made from faux leather and that gives it the shine and the top and long sleeves are fishnet and that brings the see-through and as both are black it just looks stunning. 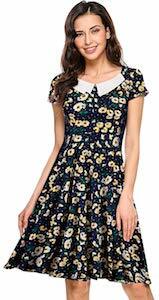 This dress maybe the party dress you wished for and even in a bit more formal setting this short dress may work. You can get this black dress in women’s junior sizes Small – XL and it is made in the USA.